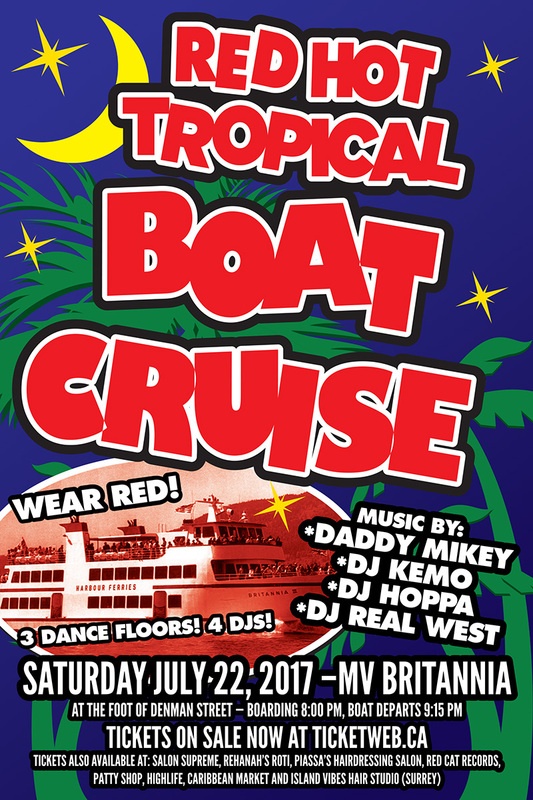 Get into the vibe of summer at the Red Hot Tropical Boat Cruise on Saturday, July 22nd , 2017. 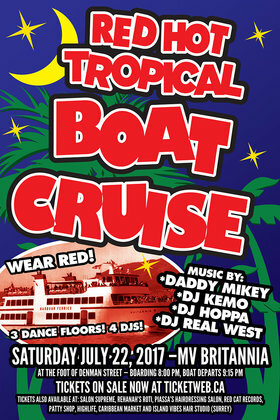 Dress in red for this annual event brought to you by Melo Productions. Watch the sun go down as you party on the open deck, or dance the night away inside the main cabin’s two different levels. This year, Daddy Mikey, DJ Kemo , DJ Hoppa and DJ Real West provide 3 hours of non-stop Top 40, Latin, and Caribbean music on each of the MV Britannia’s 3 dance floors.